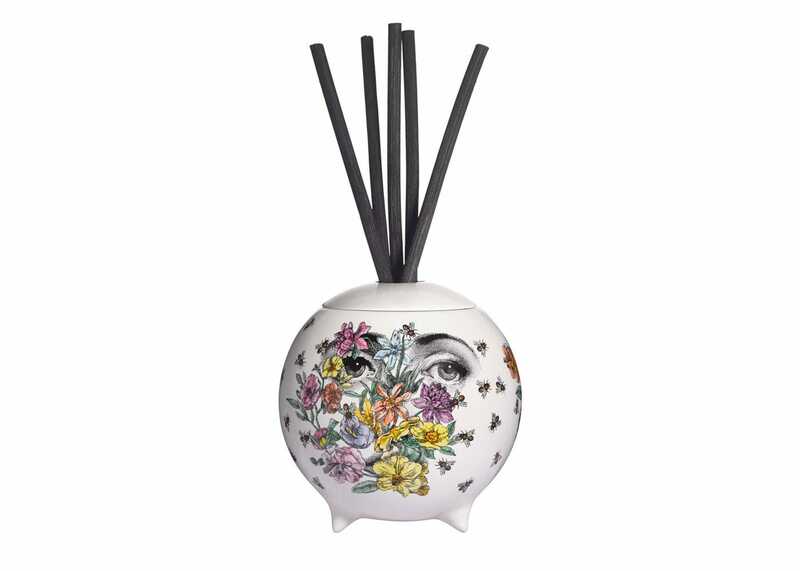 An artful addition to your home, Fornasetti's scent-diffusing sphere is both decorative and fragrant. Naturally, the sphere features house muse Lina Cavalieri, here seen with a blossoming bouquet of garden flowers. 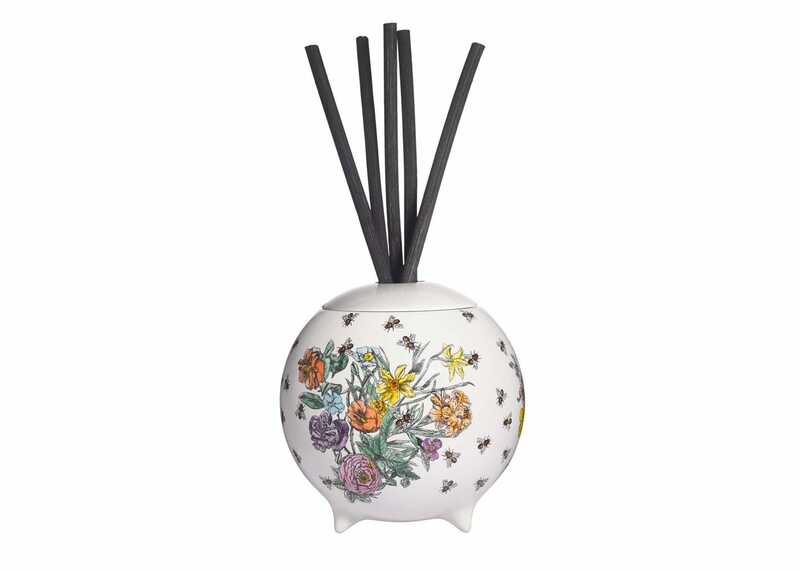 The reeds diffuse Flora, a green and floral scent with notes of lily, jasmine, tuberose & sandalwood. Made using the highest quality oils.